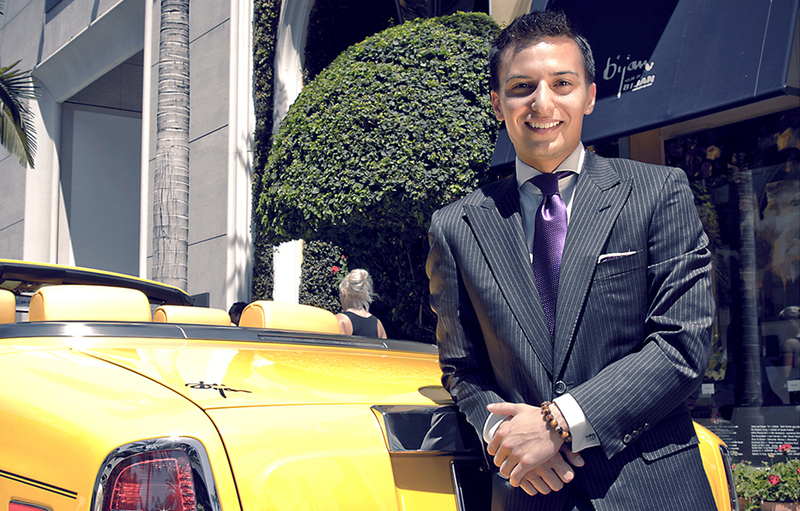 Since the passing away of The House of Bijan’s founder, Bijan Pakzad in 2011, Bijan of Beverly Hills has been forging ahead with a unique team that consists of family and friend. Every member is dedicated to enhancing the excellence, exclusivity and luxury imbued in the brand, and helping it maintain its market dominance. 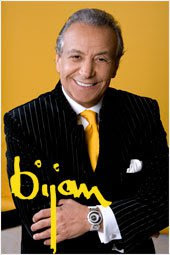 The power of brand image is part of Bijan’s heritage, growing vastly over four decades. The Bijan mark is an asset that is both priceless and irreplaceable. The Bijan team strives to constantly improve, to avoid complacency, broaden their skill sets, uphold superior work ethics and originate new ideas and ventures. 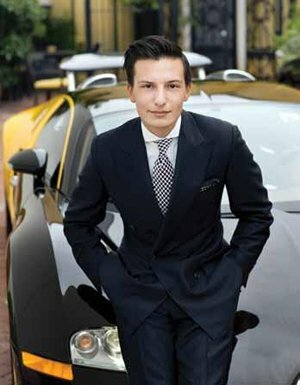 One very important member and the charming face of Bijan’s recent ad campaign is son and namesake Nicolas Bijan Pakzad. Nicolas not only inherited his father’s charm and handsome looks, but his passion and awareness of the global reach of the brand. Having been mentored by his father for several years in all aspects of Bijan design and operations, Nicolas currently plays an active role in the company. Nicolas works closely with co-founder Mr. Dar Mahboubi and Ms. Manijeh Messa continuing to spread the Bijan philosophy and carry on his father’s legacy. Nicolas was the second born and was born on June 12th 1991 in Los Angeles, CA. Here is Nicolas Bijan Pakzad – In his own words. WEDDINC: What talents do you have that are similar to your Dad’s? NICHOLAS: My father was without a doubt, very talented. He was hard working, extremely charismatic, and acclaimed by all as a perfectionist. These are all traits that I have learned from him, and what a great teacher he was. The biggest things I’ve adopted from him were his attention to detail, the same pursuit of perfection, and always striving for quality rather than quantity. WEDDINC: Can you tell us a bit about the Bugatti and why you think your father chose this car to be the mascot of Bijan? NICHOLAS: My father loved cars, he began collecting automobiles more than 30 years ago and every day he would park one of the cars from his collection in front of the Rodeo Drive boutique. Many call Bijan the most expensive designer in the world, of course Bugatti happens to be the most expensive automobile company in the world so obviously the two make a good pair. Bugatti is the pinnacle of automotive engineering so when we were approached to collaborate and design a limited edition Bugatti by Bijan it was a huge honor for my father and all of us at the company. WEDDINC: We can guess that your father’s favorite color was yellow, would you say there was a bit of history to this color choice or interesting story behind it? NICHOLAS: My father loved yellow and indeed Bijan Yellow is our signature hue, however my father loved all colors! 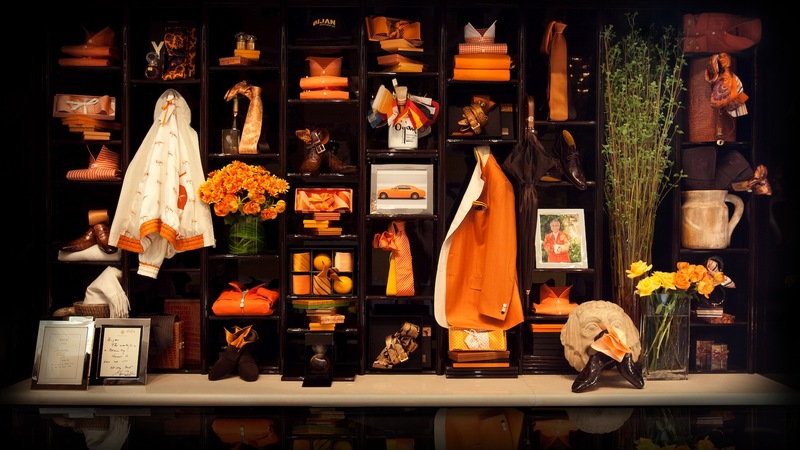 If you take a tour of our Rodeo Drive boutique you will see each one of our displays tells a story in a different color scheme. Where as most menswear designers will design a collection with very conservative color schemes Bijan always has beautiful colorful collections while remaining masculine and of course of the highest quality. WEDDINC: What’s your favorite color and why? 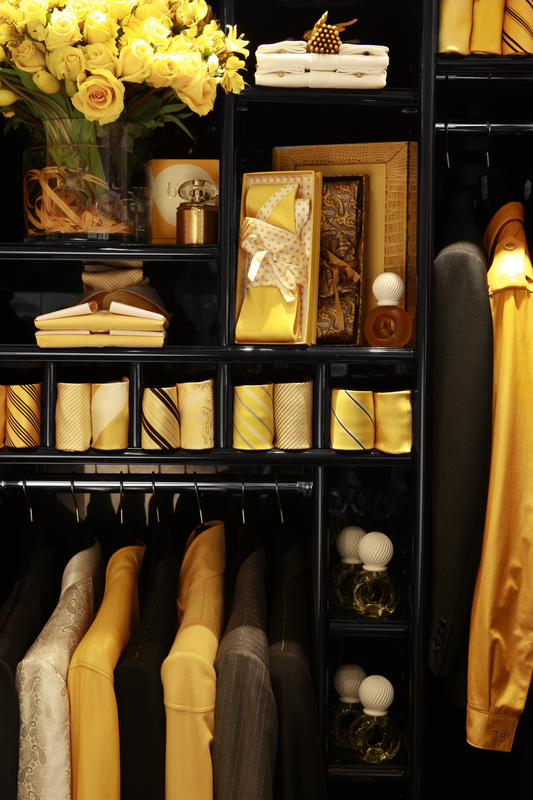 NICHOLAS: Of course my favorite color is Bijan yellow, but I am a lover of all colors. WEDDINC: Who would you say is your favorite customer you and your father have dressed to date and why? “Respectfully, we dress the most powerful men in the world. These gentlemen, many of whom have been our clients for over 20 or 30 years happen to be some of the smartest and most KNOWLEDGEABLE people in the world”. NICHOLAS: These gentlemen of course have very high expectations, and not only do they recognize the Bijan philosophy but truly appreciate it. I am so fortunate and honored to know many of these men and their families, and just like my father I have a great deal of respect for each one of them. My father and the Honorable President Bush Sr. had a very close relationship we received a photograph that I love of President Bush “41” and First Lady Barbara Bush showing off the colorful Bijan silk lining inside his jacket to a group of friends at the John F Kenndey Center for the Performing Arts. This photo is proudly displayed in our boutique on Rodeo Drive. WEDDINC: What’s the most expensive piece of clothing in your closet right now? 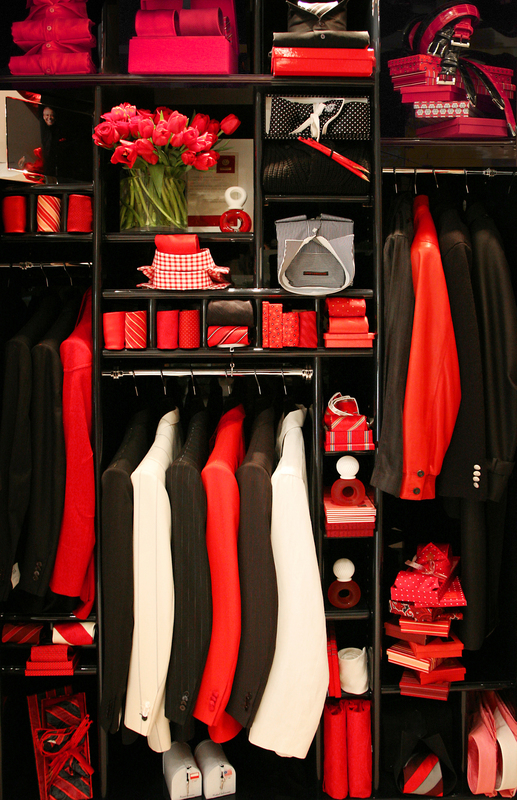 WEDDINC: What does the power suit look like for 2015 for someone about to have an important interview or negotiation? NICHOLAS: The attention to detail in our suits is unparalleled; Everything we make is made in Italy and we spare no expense when it comes to creating these one of a kind pieces of “wearable art”. We may have a conservative blue pinstripe suit but the lining could be in bright red, or lavender for example. We then match one button on the sleeve and many other small details throughout the garment with that element of color. I think a suit like this would make a great “power suit” because it is still very conservative and elegant while still showing that the gentleman is unique and not afraid to live on the edge. WEDDINC: What would be your dream car and why? NICHOLAS: Along with our Partnership with Bugatti we have a similar collaboration with Rolls Royce Motorcars in England, Since 1977 my father always drove a Rolls Royce and in 2012 Rolls Royce and Bijan began a collaborating on a Bijan Limited Edition Rolls Royce Phantom. These “one of one” creations feature our signature paisley design “ghosted” in the bonnet, as well as certain details of the interior in soft alligator skin, and among other details and Bijan clock with over 600 pave diamonds. Each one of these cars is built in the Rolls Royce factory in Goodwood, England completely to the clients specifications and every one is worthy of being called a “dream car”! WEDDINC: What was the last piece of clothing you purchased? WEDDINC: Other than your father, who is your favorite men’s designer and why? NICHOLAS: I really respect Ralph Lauren, Loro Piana, and for casual clothing to wear around the house or in Malibu I love James Perse. WEDDINC: Do you prefer shopping on Rodeo, online or…? NICHOLAS: Without a doubt Rodeo Drive has become the ultimate shopping destination in the world. 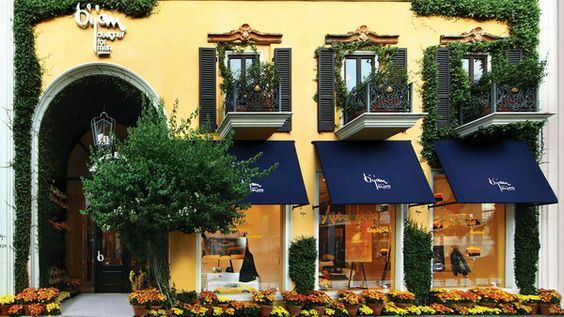 38 years ago when The House of Bijan was established there was a gas station on Rodeo Drive, now days it has become a mecca for luxury brands and synonymous with the best of the best. WEDDINC: What single piece of advice would you give your average man for that “Million Dollar Look”? NICHOLAS: Every man should exude Confidence! WEDDINC: Have you been following the World Cup from Brazil? What’s your team? NICHOLAS: Of course, I am rooting for team USA and I hope that soccer will become more of an influential sport here in America. WEDDINC: Do you love or hate social media? NICHOLAS: I love social media and how it’s becoming such an essential part of todays society. Besides keeping friends and loved ones close to one another I love how social media can really give people a different more intimate perspective on a person or organization. WEDDINC: What do you think the greatest invention has ever been? NICHOLAS: I am a big fan of horology, I love timepieces. I have many of my fathers personal watches and own a small collection of watches but without a doubt some of my favorites are some of the Bijan timepieces. Every 10 years Bijan company designs a new timepiece. Like everything we do, our watch and jewlery collections are very limited in quantity. Ranging anywhere from 1 piece to 25 peices all of which are masterpieces. WEDDINC: Which magazines, online or print, do you read daily/weekly/monthly? NICHOLAS: I read the New York Times and Los Angeles Times on a daily basis and The Economist on a weekly basis. For pleasure I often browse the menswear blogs such as The Sartorialst, Guerreisms, and The Rake are among my favorites. WEDDINC: What would be your best achievement to date? NICHOLAS: Along with the entire Bijan team, I am incredibly proud of what has been built over the last 40 years. Without a doubt the best achievement to date, that I have participated in, is maintaining and growing this incredibly unique and beautiful brand. WEDDINC: Do you live by any motto or philosophy? NICHOLAS: The Philosophy the brand was founded upon is still very much alive today. The ideology of exclusivity, attention to every last detail, customer service, and of course the highest quality. 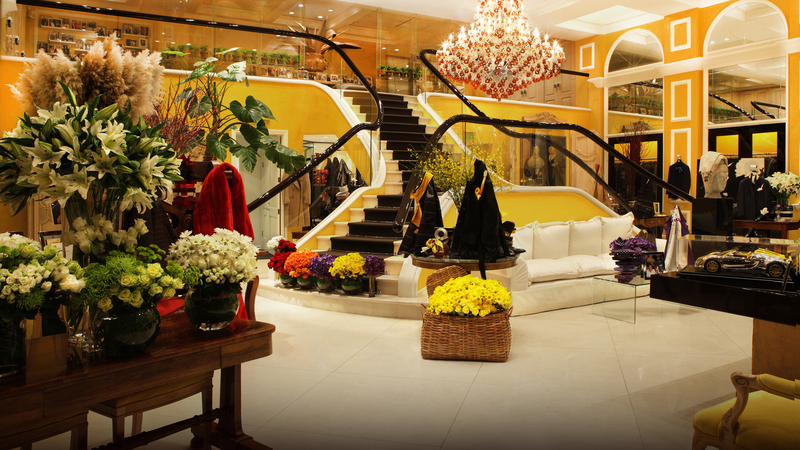 WEDDINC: What do you see the House of Bijan achieving over the next 5, 10 or 25 years. NICHOLAS: As we always have, we are continuing to expand into new markets and grow. 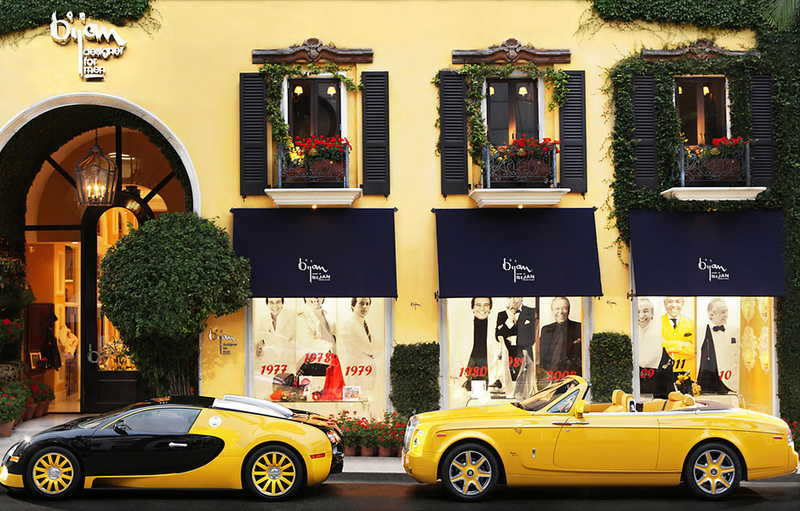 The Bijan brand is a very unique brand, our Rodeo Drive boutique for example, is unlike any other boutique in the world. It’s this uniqueness combined with the core values and philosophy of the company that make Bijan stand alone from any other company in the world. In the next 5 to 25 years I see Bijan not only continuing to grow but also remaining to be unlike any other brand in the world. WEDDINC: So, it seems that without a doubt Bijan of Beverly Hills is in very capable hands and their image and brand will continue to grow and prosper with Nicolas Bijan Pakzad there to help lead the way.